Don’t you have enough to worry about taking care of your home and family and self? Your deck should not be something you have to worry about. It should be a place of relaxation! Composite decking can help. Unlike traditional wood decks this isn’t going to breakdown the longer you have it, so you can install it and forget about it! You don’t have to worry about caring for your composite deck, let it care for you! Because composite decking is made of a mix of plastic and wood it is resistant to rotting, moisture, mold, and insect infestations. This means that you have a whole lot less to worry about with your deck! 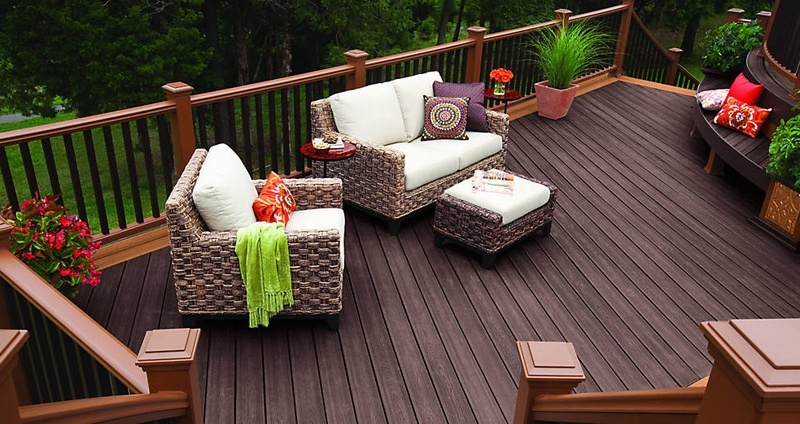 Composite decking is made of wood particles and plastic components combined. The wood particles can be anything from sawdust, wood chips or wood fiber pieces and the plastic can either be new or recycled. This means that for those of us out there who want to keep things a little more green there are options! 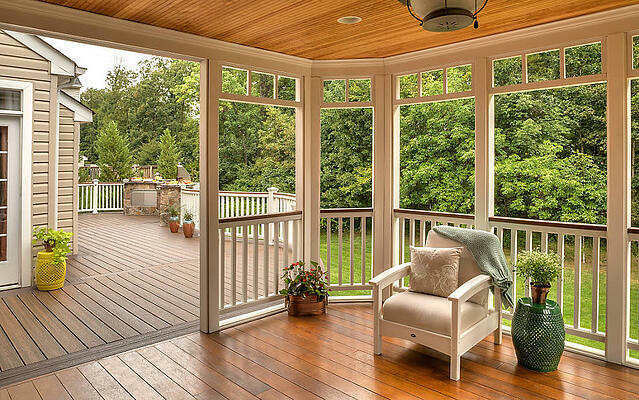 You can have a nice, new, relaxing deck without hurting the environment! In fact, our favorite brand, Trex, is a leader is sustainably sourced materials and supports the U.S. Green Building Council in their effort to create environmentally responsible outdoor spaces! 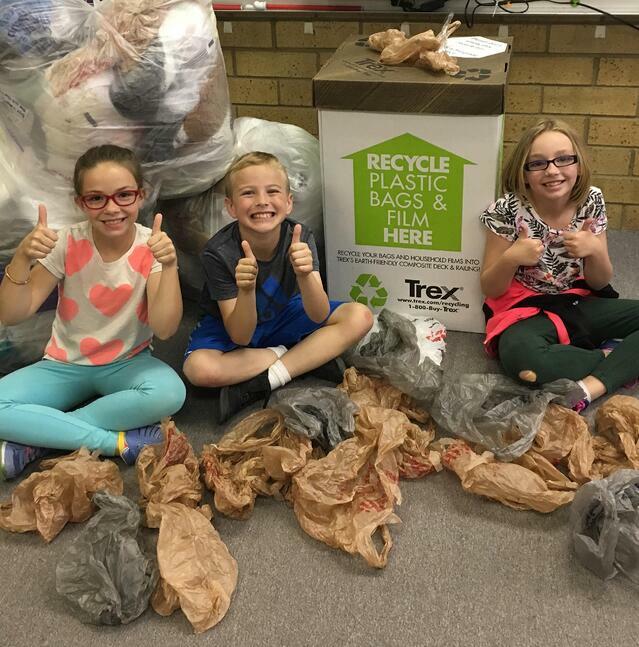 The average 500-square foot composite Trex deck contains 140,000 recycled plastic bags, which makes Trex one of the largest plastic bag recyclers in America! 3. Lower cost over the life of your deck! 4. Low Maintenance = Low Cost! What’s more is that the composite decking will not only last longer, but it will last longer without maintenance! 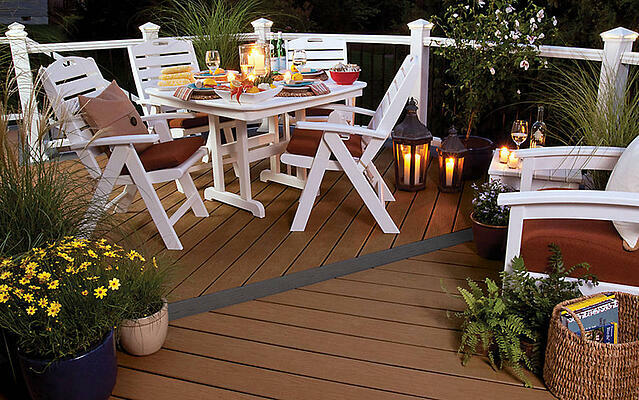 Composite decking is rot resistant, doesn’t warp, doesn’t splinter, and doesn’t need to be painted, stained or sealed. No more staining or painting the deck every year before you can use it, or getting splinters because you dared to brave the deck on a beautiful spring day before prepping for the summer. With composite decking any lovely day that happens is yours for the taking! 5. Pick the color that fits you! Composite decking is also made in a variety of colors and textures so that you can really select the right decking for your home! You can even select more than one to mix it up if that is what you would rather. Trex decking comes in over a dozen colors so you can find the pattern or color that fits you! Want to match your house or make a place for peaceful relaxation, there is a color for you! Composite decking provides the ease and flexibility that we have all become so accustomed to. 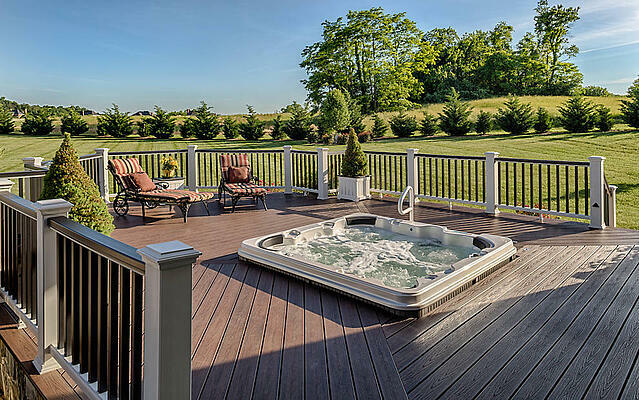 Give yourself the gift of worry-free relaxation, get a composite deck! 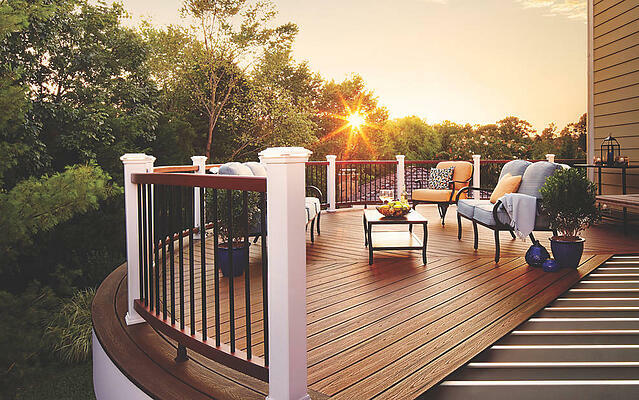 Go for a composite deck if you don’t mind spending a bit more money upfront, and reap the benefits of a lower maintenance, eco-friendly solution that will continue to satisfy you as the years go by.